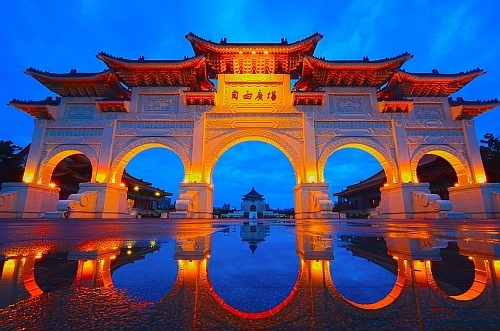 United Airlines and ANA have dropped the price of their flights from Calgary to Taipei, Taiwan down to between $558 and $598 CAD roundtrip including taxes. Most flights have 2 stops on the way there, and some flights have 1 stop on the way home. Los Angeles, San Francisco, and Vancouver are the most common connections. 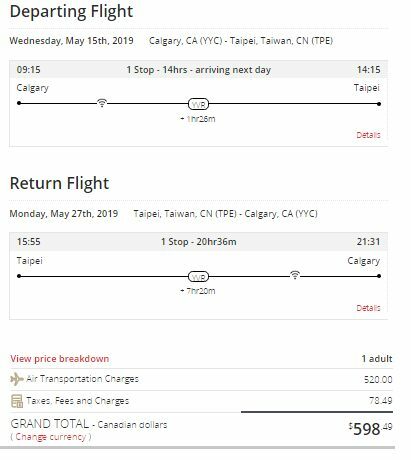 Update: Air Canada is now showing 1 stop flights from Calgary to Taipei, Taiwan for $598 to $619 CAD roundtrip (see update below). - - See the instructions below if you want to book flights later into September and even into October 2019 (past what Google Flights is showing). TIP: Once your Momondo search completes, try moving the Flight Leg slider on the left down to around 25, to filter out really long flights. - See the instructions below if you want to book flights later into September and even into October 2019 (past what Google Flights is showing). calgary, yyc, flight deals, asia, east asia, taipei, taiwan, tpe, united airlines, ana and all nippon airways.